Photo © James White for E! 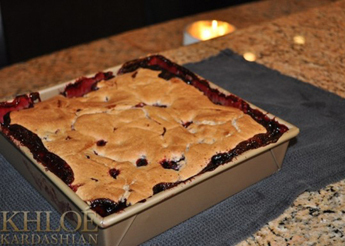 “Cooking to me is really relaxing, and I love to try new things for my husband,” says Khloé Kardashian Odom. 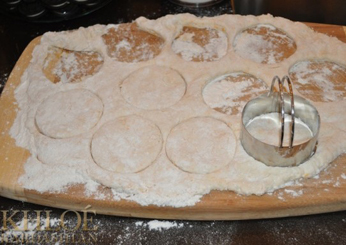 Her husband Lamar Odom loved her first homemade meal of chicken and dumplings. 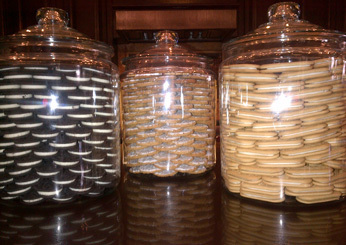 Photo courtesy of Khloé Kardashian Odom. 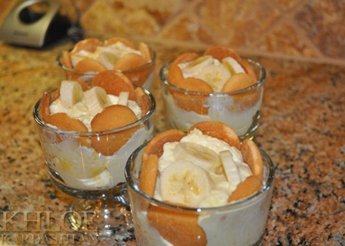 Banana pudding is one of Lamar’s favorite desserts. His grandmother used to make it for him. 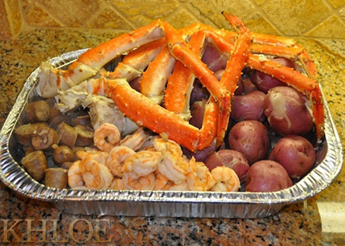 To celebrate Lamar’s birthday, Khloé made crab legs, shrimp, chicken sausage, red potatoes, fried chicken and biscuits, sweet corn, rice and a peach cobbler. “I was very nervous because I had no idea how to tell if the crab legs were cooked,” she says. 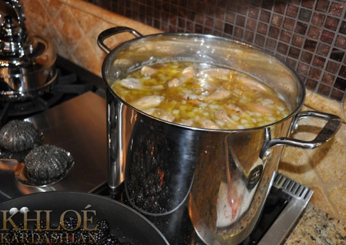 For her husband Lamar’s birthday, Khloé made fried chicken, one of his favorite dishes. 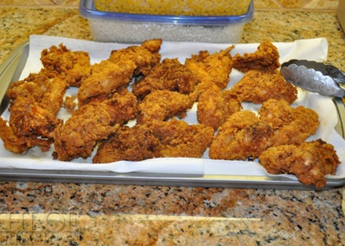 Slideshow: Fried Chicken Recipes Slideshow: Best Fried Chicken in the U.S. Photo courtesy of Khloé Kardashian Odom. Khloé Kardashian Odom and Kim Kardashian attend a cooking lesson at New York City’s Valbella restaurant. 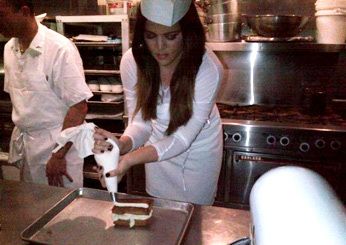 “I want to learn how to make intense and intricate cakes, just to be more creative,” says Khloé. Here, she pipes a layer of cream into a Napoleon pastry during a cooking lesson at New York City’s Valbella restaurant. 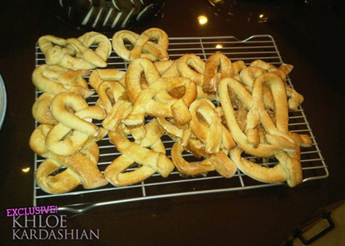 “I love eating authentic ethnic food, and I like trying new foods,” says Khloé Kardashian Odom. 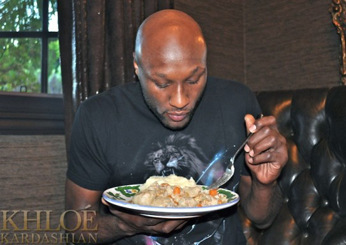 “Lamar’s great at taking me to different restaurants,” she adds of her NBA star husband, Lamar Odom. “I’m kind of a creature of habit, but he’s good at just pulling over the car and saying, ‘Hey, let’s go to this restaurant.’ ” Here, the L.A.-based reality TV star and good eater shares her favorite spots to eat on both coasts with Lamar and her famous sisters, Kim and Kourtney Kardashian. 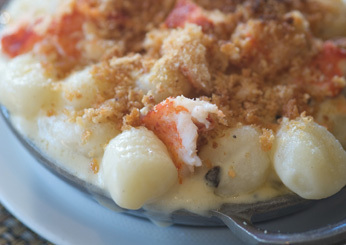 Photo courtesy of Stanley’s Restaurant. Photo courtesy of Philippe Chow. 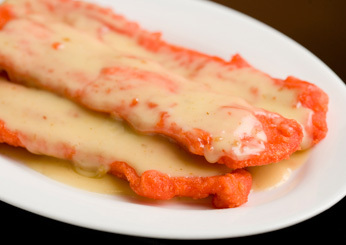 “Lamar always takes me here and orders for me. 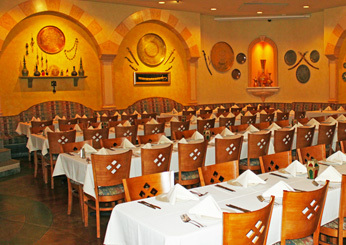 I love going to Caribbean restaurants. I have limitations because I don’t eat pork, red meat or a lot of fish. Chicken and turkey—I can eat whatever I want. 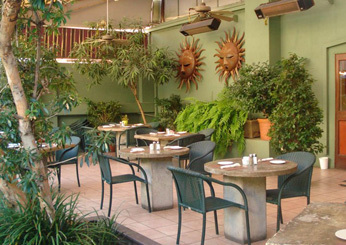 The restaurant is almost like a hut. There’s nowhere to sit, so you get your food to-go. 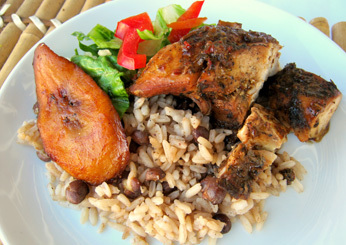 I get a spicy jerk chicken on the bone with a bunch of mixed rices like rice with pigeon peas, West Indian fried rice and spinach rice, which is made with spinach, coconut milk and chickpeas.” 15924 Hillside Avenue, (718) 297-2359.